'Today the dominant narrative is that of market fundamentalism, widely known in Europe as neoliberalism. The story it tells is that the market can resolve almost all social, economic and political problems. The less the state regulates and taxes us, the better off we will be. Public services should be privatised, public spending should be cut and business should be freed from social control. 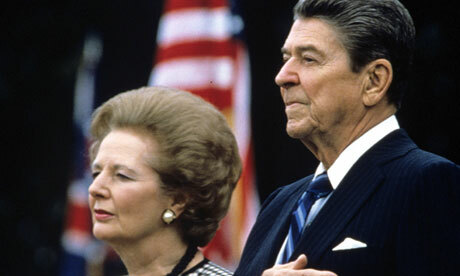 In countries such as the UK and the US, this story has shaped our norms and values for around 35 years: since Thatcher and Reagan came to power. It’s rapidly colonising the rest of the world,’* *or as I would say: It has colonized the rest of the world. 'Our era is the individualistic one, and the myth of the happy single obscures our longing for the other in combination with our distrust of this other. This is strange. We live in one of the safest regions of the world and we have never been so afraid of one another! Why do we view the other as a possible threat? In my opinion, the explanation is to be found in the dominant nature of neoliberal ideology, setting the tone of the past thirty years or so. When it started, Margaret Thatcher produced a very prophetic formulation: ‘There is no such thing as society, there are only individuals’. In the meantime, neoliberalism has installed a society with isolated and ever competing individuals. An unexpected side effect was the growing need for top down control of everything and everyone. We have been turned into lonely hedgehogs filling in forms for every step we take. And we have to take it, that’s for sure. The golden goose is called success. Michael Douglas puts it quite clearly in one of 1987’s blockbusters ‘Wall street’: “Greed is good. Greed is right. 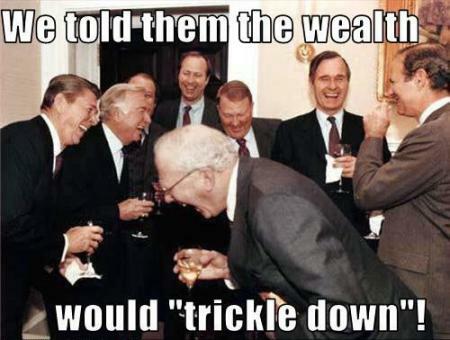 Greed works.” Neoliberalism has realised its own principle, a ‘rational’ selfishness. We do no longer parent, or teach or love. We invest in parenthood, education and relations. And if the investment does not return satisfactorily, we dump the lot, and move on to the next. Get rid of the weakest links in order to boost productivity. The other is first of all a competitor. Team spirit has become rare and needs to be boosted by team building weekends, ironically enough filled with survival of the fittest games. In the early stages of neoliberalism the principle was limited to industry and trade, but today it dominates everyday life. An ironic example can be found in so called ‘reality shows’ on TV, with striking titles such as The Weakest Link, Temptation Island or Top Starter. The irony is that they pretend to show us who we really are, whilst they are dictating how we should behave. Their message is clear: the ideal human is a rat-race- loving player, always looking for number one. We have to score. In bed, at work, in life. The winner takes it all. Under the skin of our successful society, fear thrives, from fear of failure to a general distrust of the menacing other. Indeed, if everybody is only looking for number one, then no one is to be trusted. This explains another surprising effect of neoliberalism: the ever-growing burden of top down control, audits, evaluations, protocols and the like. CEO’s are everywhere, meaning chief executive officers. Mind you: ‘officers’, obviously, we are all part of the army. We may have freed ourselves from god, but the almighty eye of CCT is everywhere. Beware if you do not follow the rules! For the last thirty years, our neoliberal society has been promoting competitive individualism and top down control. Today, the smoke is clearing and we are left with a world of winners and losers, all of them on their own. Who Am I in this Market-Based and Money-Driven World?